Buying a fixer-upper is appealing as a potential dream home or way to make extra money, but it does have some pitfalls. Before you jump into a fixer-upper project, it’s important to do some research to be sure that this is the right project for you and you won’t end up in the hole. Learn more about the three things to consider when purchasing a fixer-upper as your personal home or for resale. 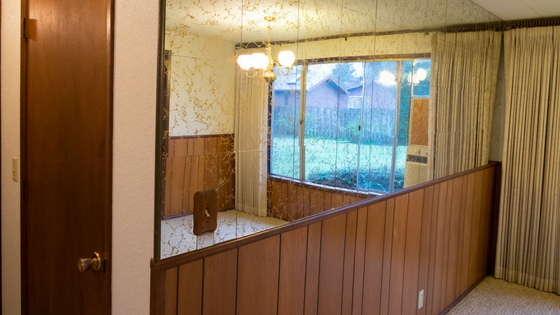 The low sales price and potential for profit is appealing to many people, but a fixer-upper may end up costing you. There are a lot of costs associated with repairing an older home, especially if you’re not doing all the work yourself, so be sure you’re prepared for this when considering the investment. It’s also important to consider that overnight flips aren’t realistic. Getting a fixer-upper fully renovated can take months or years, depending on the extent of the work involved, so be sure that you can commit to this project before you buy the house. Location matters as much with fixer-uppers as it does with normal real estate. Learn the average home prices, taxes, local schools and other location information to determine if there’s a good possibility for resale. Keep in mind that buying a fixer-upper in a nicer neighborhood has a lot of potential for profit as well. Renovations vary from house to house, so you need to know what needs to be fixed before you buy. A house with “good bones,” which means a good foundation, roof, floor plan and design, will help you keep renovation costs down. It may also be tempting to buy a house that doesn’t have the best layout with the intention of knocking down walls to change it, but this may not be practical. It’s always better to choose a house with an attractive floor plan and minimal repairs, rather than trying to redesign the layout. Like the layout, the configuration of the house is important as well. Choose a house with the approximate square footage and number of bedrooms and bathrooms you want. Additions are always an option, but that’s costly and time-consuming work that isn’t the most practical for a flip. Potential renovations for a house can be broken up into two categories: Minor and Major. Minor renovations typically cost less, but add significant value to the final product. Major renovations are more involved. Add up all the possible renovations to determine the cost vs. value for your fixer-upper, keeping in mind that unexpected repairs or expenses can always pop up. Keep it realistic as well, since choosing high-end fixtures, flooring or cabinets can significantly increase your renovation costs without adding much value to the finished home. There are many things to consider when purchasing a fixer-upper, but that shouldn’t deter you. Just do your research and weigh your options to be sure you’re making the right decision for your needs and budget. Looking for a quality fixer-upper? RE/MAX Northstar can help. Our experienced real estate agents will be happy to assist you in finding a quality fixer-upper in the area, so you can get started on your project. Contact us today!